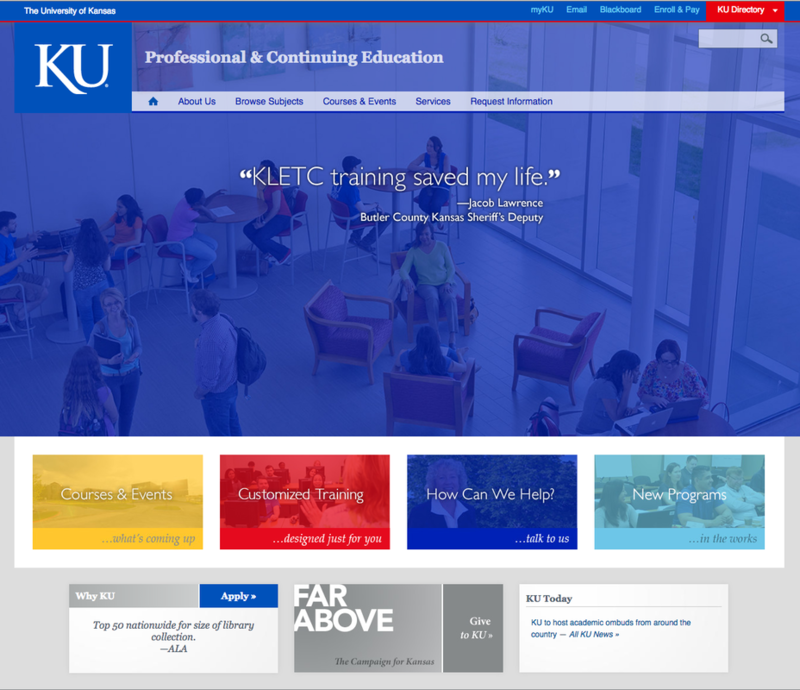 This is just some of the work created while I was an employee of the University of Kansas, Professional & Continuing Education. Catalog for Aerospace Short Courses held all over the world. 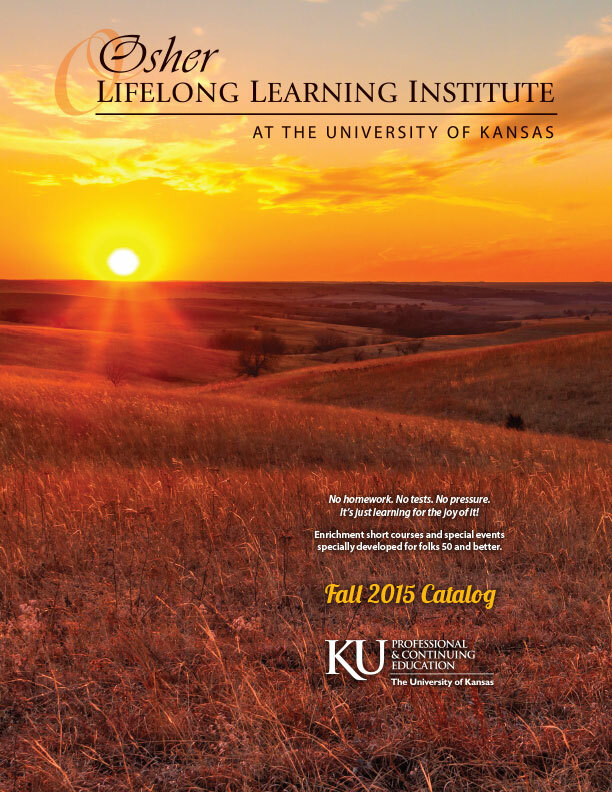 The goal was to make this annual catalog instantly identifiable as aerospace and KU. Each year, the cover is updated with a different blue sky and plane image. ​Starting from scratch, I redesigned the existing KUPCE website, including its home page. Goals achieved included organizing the site from the user's point of view, and deconstructing the departmental silos when subjects overlapped. 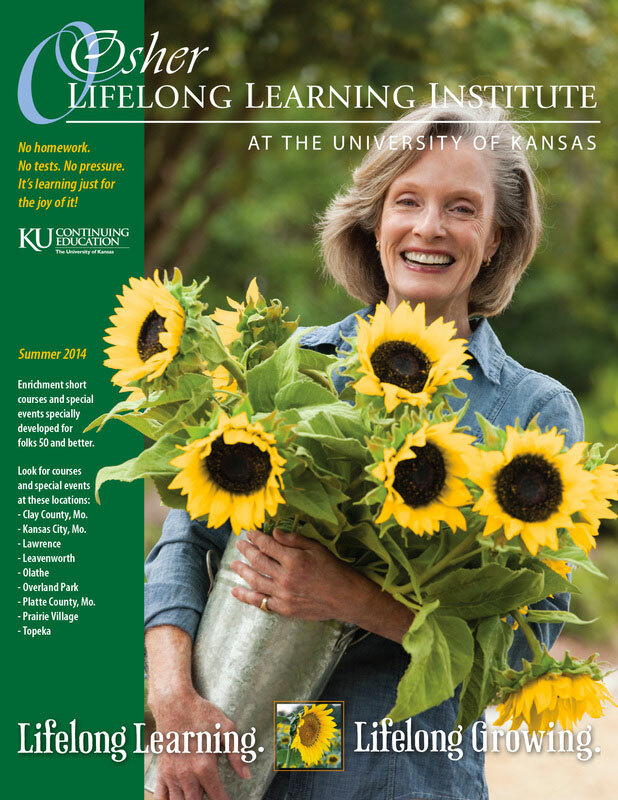 Catalogs for short courses held specifically for people "50 and better." I either chose the photography for the covers, or art directed and shot them myself.